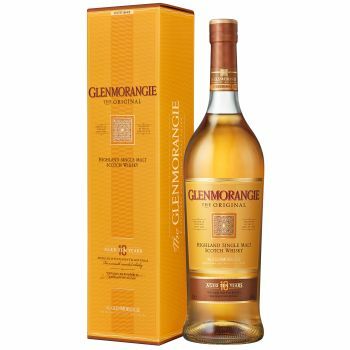 The multi-award winning Glenmorangie Original Single Malt Scotch Whisky 10 Year Old genuinely delights demanding whisky enthusiasts the world over. For over 160 years the master distillers at Glenmorangie headquarters in North Scotland have produced whisky perfection in the form of Glenmorangie The Original; self-described as the "back-bone" of the entire range. Using only the finest Scottish barley and mineral-rich water, as required of all single malt Scotches, the Glenmorangie makes its mark as one of the finest single malts. Aged for a minimum of 10 years in ex-bourbon casks, Glenmorangie embodies innovation, quality and a commitment to perfection - and consequently earns a place among the finest Scottish Whisky.